Tulum, Mexico is low key, mystical and magical. What makes this spiritual mecca so special is its artistic magnetism, and the people it attracts from all corners of the world; some seeking a laid- back vacation... others as healers or to be healed. 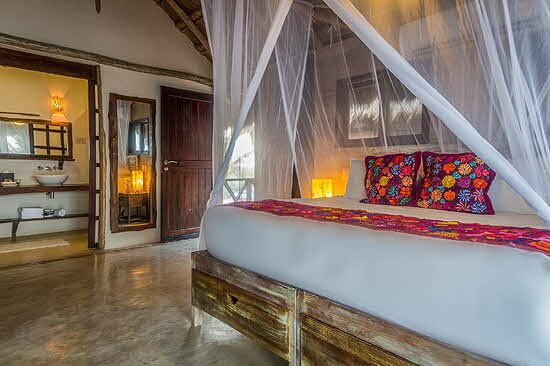 Here the vibes are different than in nearby overly developed resort areas; one can unwind with yoga at sunrise or sunset, swim in cenote rivers, shed toxins in a sweat lodge, go back in time with a visit to the ruins that are archaeological wonders of the world or just relax in a hammock with margarita in hand. And then there are the visionaries and entrepreneurs who bought into the dream of a “pura vida” and have developed Tulum’s narrow beach road into a community of unique luxury hotels, yoga retreats, alfresco award winning restaurants, bars and pricey boutiques. John Kendall is one of these visionaries; his journey is fascinating and inspiring. Originally from New Zealand, he moved his family to Colorado; built a travel insurance business, and then a software company, before entering the highly competitive world of hotel development. Frontier Airlines direct flight from Denver to Cancun, brought his family to Mexico during a snow storm. 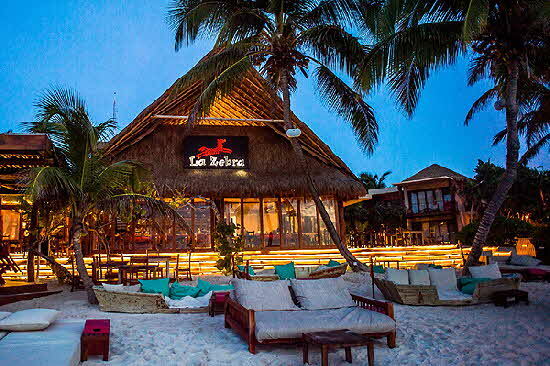 Intrigued with Riviera Maya’s rich culture and history, he began planting seeds in 2004 when he opened the Mezzanine Restaurant along with 4 rooms. 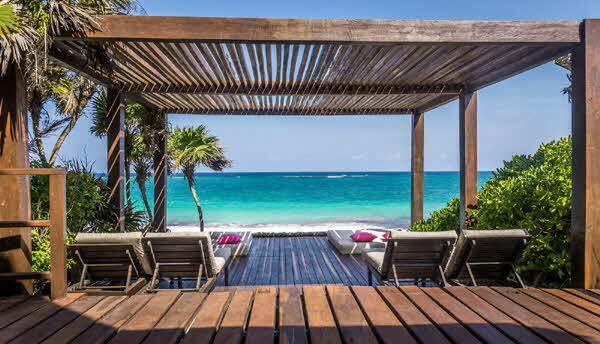 What began as a small project has morphed into the Colibri Hotel Group... a collection of family owned and managed luxury boutique hotels; four in Tulum: La Zebra, El Pez, Mezzanine and Mi Amor... and Yemaya Hideaway & Spa on Little Corn Island, Nicaragua (all members of Small Luxury Hotels). John’s goal was “to build away - from - home ambiance with intimate services so guests could come and just chill out”��. Each hotel has its own unique personality, d�cor and cuisine. General Managers has been carefully selected to complement each property’s guest profile. John now lives outside of Mexico; continues to keep a close eye on his “children”��, but has turned over the role of CEO to brother-in-law Brendon Leach. Brendon has his own wanderlust stories to tell: from Overseas Experiences as a youth to earth scientist and bass guitar musician; he first came to Tulum as a backpacker in 1996; lived in a tent on the beach; then looked to build a life on Ibiza. In 2003, he returned to Tulum; joined John and helped built Mezzanine, bringing a little “smooth grooves music” to the lounge. In 2006 and 2008 they opened La Zebra and El Pez and then Mi Amor in 2014. Brendon tells me “we have assembled a management and culinary team from around the globe. We”re dedicated to detail; always evolving with an eclectic mix of talented consulting chefs who leave their restaurants in Guadalajara and Bangkok to train our chefs de cuisine . . . tweak and redefine our menus”��. A shuttle van takes us from the Cancun Airport to La Zebra’s outdoor check-in desk; where a friendly staff greets us with cold towels and refreshing drinks. After settling into our spacious ocean view room, with plunge pool off the deck, we join F & B Manager Nick Kendall and Jon Herrara for a welcome lunch. We leave the ordering to Nick, and to our delight and hungry appetites, the table is covered with a mouthwatering array of classic and signature ceviche, followed by tacos, tortillas, enchiladas and burritos... stuffed and oozing with beer battered fish, seafood, rib eye, grilled chicken, veggies and pickled mushrooms. Beautifully and artfully presented, they taste even yummier than they look. Nick, John’s son wins us over with his charm, passion for food and culinary knowledge. He tells me “we use the purest and best products to create new and innovative food and cocktail menus. We want guests to have very special stress-free experiences when they stay at one of our properties. The challenge was to fuse culinary mastery into the natural beauty of the setting”. Nick is developing his first solo project: Embernest, a beachfront boutique hotel that will draw on ancient forms of shelter, nourishment and comfort in a natural setting. The casual beach lounge and restaurant will be the main focus during the day. Come nightfall, the attention will shift to the incredible jungle setting where the fire-based dinner restaurant will be located. Our days at La Zebra begin with long walks on the beach and a swim in the sea; some seaweed rolls in, but once beyond the gentle wake, the water is soothing and stimulating. We savor well - earned typical Mexican breakfasts; my favorite: poached eggs with chilaca sauce, refried beans, manchego cheese and pickled onions. We discover a pool, pool bar and lounge area up a flight of stairs. Great place to swim laps, read a book and sip a cocktail. La Zebra Spa is tucked away in a secret garden; therapists Angie and Coco lead us to a large room with two massage tables. Angie’s knowledgeable hands work magic with her 90 minutes Mayan naval massage. The Chef’s Table is a nostalgic culinary experience. Created by Chef Eleazar Bonilla, in collaboration with his staff and Nick Kendall, this multi- course feast, with drink pairings, is truly “A Mexican Gastronomic Experience for the Epicurean at Heart”��. Each course was developed to celebrate and honor Eleazar’s life passages, and he comes into the room to tell his story: from playing with corn to learning to cook in his mother’s kitchen; the competitions he has won, and his role as La Zebra’s Chef. For him, “the hotel is my family”. Members of the Colibri team join the festivities, and I am impressed by how happy everyone is to be working here. Chef’s Table has open seating’s Friday and Saturday nights, and often strangers who come together at the table, leave as friends. Saturday BBQ cookouts offer an array of salads, homemade breads, grilled meats, specialty deserts and a strolling mariachi band. Sundays are salsa night, popular with locals and guests; there’s a live band and complimentary dance lessons. I watch Nick and mom Cynthia Kendall as he leads her around the dance floor. Cynthia, herself a healer, works with sound vibrations from crystal bowls. Another not-to-be-missed treat are the exotic cocktails created by the founder of the Mulberry Project in New York City, Jasper Soffer who has partnered with the Colibri Group to create a Mulberry Beach Pop-Up at La Zebra, and to develop unique cocktails for each resort. After three fun filled nights, we move down the beach to El Pez, a little more rustic; doors open wide to the sea, and our room is but a step down onto the sand. 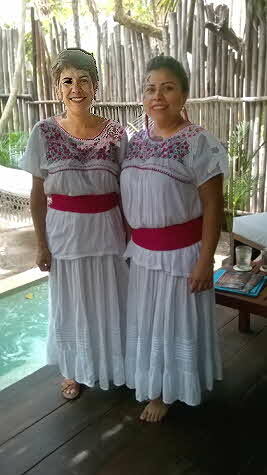 Sunday Brunch with a live band draws guests from all over Tulum. Award winning Chef Paco Ruano oversees the restaurant�s Mexican and seafood influenced menu. This is a place to chill out and watch fishermen wade into the water with long nets to catch silvery bait fish. Dinner at Mi Amor, is as romantic and elegant as the name implies, thanks to the flair of world renown consulting Chef Paul Bentley who has honed his skills at the most acclaimed restaurants in Australia, Europe and at Daniel in New York. Inspired by French and Italian cuisine, he and his team are passionate about techniques and elevating flavors; the menu is impressive with an expansive selection of courses. 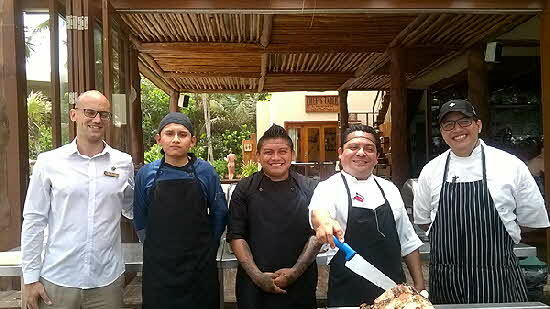 Chef Bentley is also Executive Chef and owner of Magno Brasserie in Guadalajara, Mexico. We begin with a crisp celery salad: tossed with hazelnuts, grapefruit and Pecorino cheese... followed by a buttery beet ravioli, made with poppy seeds and Parmigiano Regiano cheese, so creamy it melts in my mouth. Our next course is a local fish with pickled squash, pumpkin seeds, and a wide variety of fresh vegetables. Deserts are equally decadent and inventive, especially the Mandarin cheesecake, made into the shape of a mandarin... on a mix of chocolate crumble and topped with mandarin puree. Mezzanine, John Kendall’s first fling, was a fitting venue for our last dinner. This breathtakingly beautiful property is perched on a cliff above the sea, and we are here for an Authentic Thai Feast. Thai chef Dim Geefay, a well- known cooking teacher and television personality in Bangkok, is the restaurant’s visiting consultant. She guides Resident Chef Garn Surasak, using recipes and techniques she learned from her mother, and dishes she developed with local ingredients. Once again, our palates are tantalized and titillated with an exquisite spread of scrumptious chef specialties that include: Crispy wonton wraps with shrimp, jicama, coriander & ginger... Fried marinated beef strips in oyster sauce with green papaya salad in chili lime dressing with tomatoes and roasted peanuts... Wok seared jumbo shrimp in yellow sauce with cashews, mango and chili de �rbol... Steamed fish in banana leaves with mushrooms, red peppers, ginger and French beans... Whole fried fish in tamarind and piloncillo sauce with garlic, jalape�o and sweet peppers... Grilled rack of lamb with mashed sweet potatoes, peanut sauce and cucumber salad... and a marinated 14 oz. ribeye in oyster sauce grilled over an open flame. All served with habanero sauce and Jasmin or coconut rice. And to top off this memorable culinary extravaganza: a soft cheesecake with roasted peanuts bathed in passion fruit sauce, mango, kiwi & mint. What makes staying and dining at a Colibri Hotel so special is the personal attention I noted every guest receives, and for me,from the moment we checked in to our final farewells, we were treated like family. I would also highly recommend La Zebra for a single girl’s getaway. 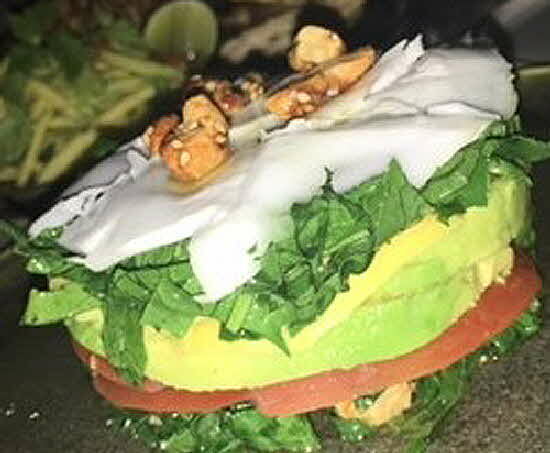 Tulum is a wonderful place to begin a new life cycle: people are happy to see you... the sea is calm and inviting... and food is prepared with love. And to quote Dr. Bobby Klein, Director of Yaan Wellness Energy Healing Spa, “my role is to help people remember who they are”. Personally, I can’t think of a better reason to visit.